If you’ve followed the Wild even casually over the past 16-plus years, you are familiar with the “State of Hockey” song. Soon there will be seven new versions of the anthem. If you’ve followed the Wild even casually over the past 16-plus years, you are familiar with the “State of Hockey” song. Written and composed by the late John Olson, it debuted at the Wild’s very first home game on Oct. 11, 2000. It starts, “We were raised with the stick and a pair of blades; on the ice we cut our teeth.” And from there, it continues with a celebration of hockey and its connection to Minnesota. Per tradition, the song is played during the first intermission, right before the Wild returns to the ice for the second period. But when the Wild returns to Xcel Energy Center for its next game March 18, fans will hear something different at that moment: seven new versions of the song, rolled out during the seven home games between March 18 and April 2. Soul Asylum was among the groups to take the Wild up on its offer. Local hip-hop group Doomtree did a version. So did Haley (formerly Haley Bonar, the local artist who announced this week she is changing her performance name to just her first name). Having been granted a preliminary listen to many of the versions, I can say this: I don’t love them all, but I at least like most of them (particularly the Doomtree version). 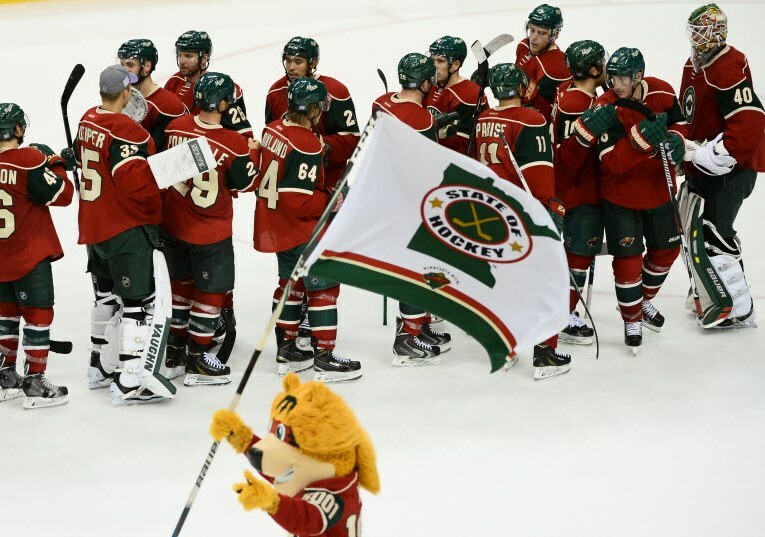 You can hear the songs before that March 18 game when they are all released Monday on Pledge Music– with proceeds related to the new versions going to the organization’s charitable Minnesota Wild Foundation. In addition, the Wild’s radio broadcasts will feature the songs. Given some of the fan consternation over the Wild’s decision to change its goal song from Joe Satriani’s “Crowd Chant” to Prince’s “Let’s Go Crazy” this year, Maher wanted to make it clear that these new “State of Hockey” versions are not replacing the original — rather, they are additions. And the lyrics, it should be noted, are the same. What's the nightmare scenario for Vikings in free agency?